Kerala is famous for its backwaters, a network of lakes and canals along the coast of the state. Cruising the canals on houseboats is one of the biggest tourist attraction in Kerala and is a unique experience. 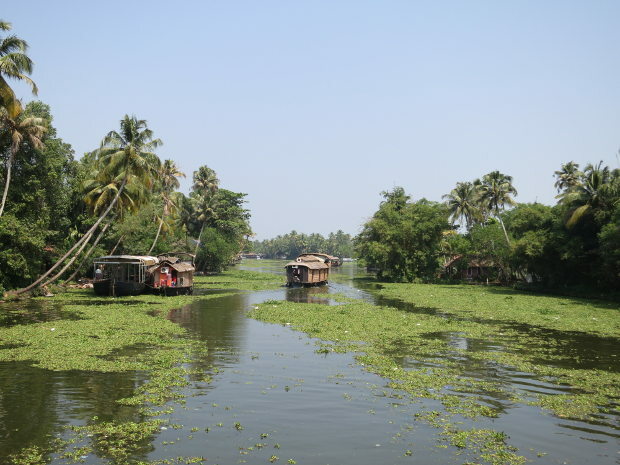 The main starting point for houseboat cruises is from Alappuzha (Allepey). We reached this city using the public ferry from Kottayam. While being very noisy, this boat ride is by itself an excellent tour of the backwaters. It’s super cheap (10 rupees) and last almost 3 hours, making it a great choice for budget minded people. 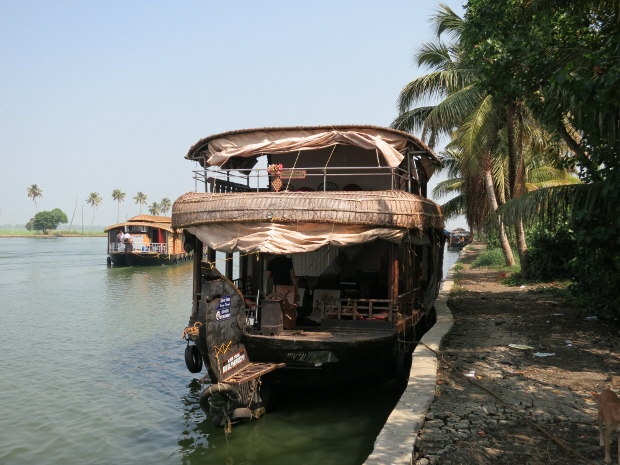 Still, the best way to enjoy the backwaters is with an houseboat. These boats are like a little floating house, fully equipped with a bedroom, bathroom and a kitchen. Everything is taken care of for you, the goal is to relax. They are many different size of boats of different quality. 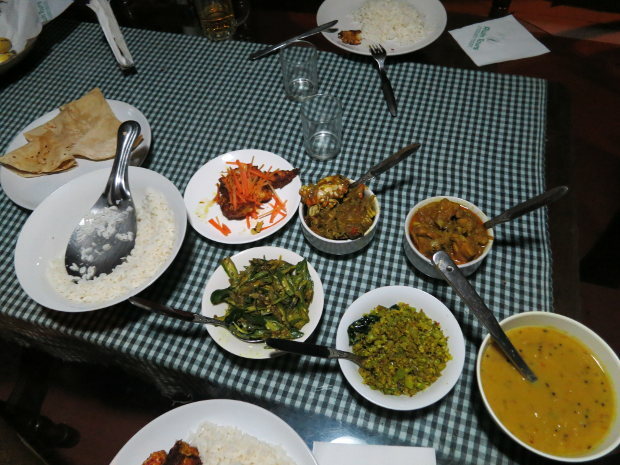 We booked ours through the guesthouse in Kumily. Guide books advise checking the boat before renting it but the owner recommended us a company and helped us negotiate a price. I think we got it at a good price considering the boat was quite big. It was a bit run down but perfectly OK for a 24h cruise. Once on the boat we simply relaxed and enjoyed the view. We stopped at a market on the way to buy some seafoods which the crew cooked for us at dinner. At night we stopped at a village where we went on a canoe tour which was fun, the canoe owner being a good guy. The houseboat cruise is quite expensive but an awesome experience and I would greatly recommend it.